Sadly, Mommy had to deal with yet another Poop-acolypse. Rookie mistake though. You veteran parents out there will sadly shake your heads when you hear this one. I put Landri down for a nap in a swim diaper. And of course, when I went to wake her up, she was laying in a POOL of pee pee AND poop juice. Poop juice is pretty nasty. When she stood up, it literally was running down her legs. Sick!!! 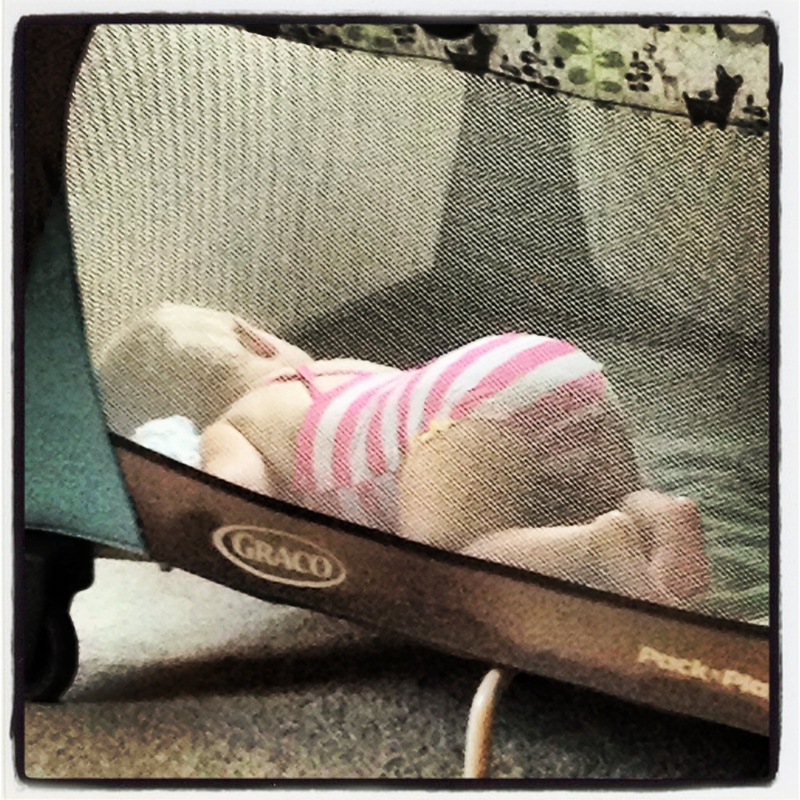 It completely soaked her pack and play sheet and went all the way through to the play and play floor/mattress. We had to scrub it with shout and dry it with a hair dryer! I should have known better! Swim diapers were designed for one thing – swimming!! Anyhow, meet LL Cool Baby who is ready to clock some beach time if it would ever stop raining! Love your blog…keep writing about Landry….